Love coffee and want to network and meet other business women in Calgary? Then join us for our WB Consulting Coffee Meetup – we would love to see you there! 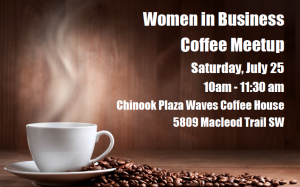 This is a great opportunity to network with other business women, share struggles and help each other – all are welcome!